Food is ready to be served on a plastic sheet laid on the floor. Children and mothers (pregnant and lactating) eagerly wait to get something down in their bellies. But before that begins, anganwadi worker Mira Singh calls out for four-year-old Ruby, jotting down some numbers in a register. Ruby, in tattered clothes, her hair disheveled, steps on a weighing machine kept in the centre. Singh peers on the scale as the needle settles at 10 kilos – four less than the minimum for her age. “Two months ago, she weighed even less,” recalls Singh. “Her diet required immediate attention and we ensured she ate properly at the centre,” she adds. Ruby and many others, aged 1-5 years, at the Kilhora anganwadi, show signs of undernourishment in all forms – underweight, stunted growth, distended abdomen and anemia. Kilhora is about 40 km from Majhgawan, a small block, in Satna district of Madhya Pradesh. According to the 2014 Sample Registration System (SRS) baseline survey, Madhya Pradesh tops the number of infant deaths. And Satna is where the worst-case scenario plays out. Here, the stunting rate is higher than the national average of 39 percent – according to the National Family Health Survey-IV (2015-16), 39.6 percent of children (under five) are underweight while 41.2 percent are stunted. 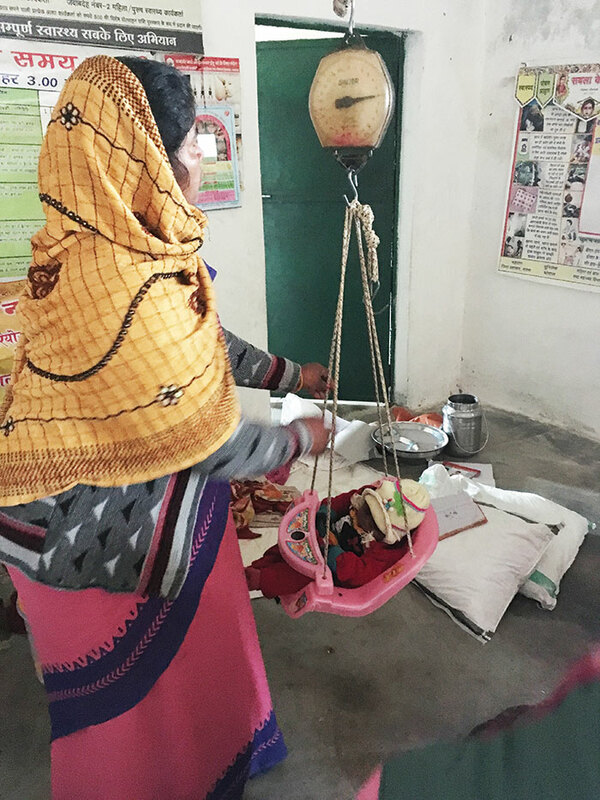 Varsha Singh, a scientist at the Deendayal Research Institute in Satna, has examined the nutritional intake of women, men and children in Kilhora and adjacent villages. “People here suffer from endemic hunger. The food consumed by people here fails to fulfill the nutritional requirement of the body. Their food intake is low and as a result the body gets accustomed to having less food. The purpose is to somehow fill up the stomach without taking nutrients like essential iron, iodine, zinc and calcium,” says Varsha. When I interacted with villagers, I found that people took meals only twice a day. Early morning, they manage with two tiny servings of rice with a vegetable or a pulse. And then in late afternoon, they have chapatis with some mashed potatoes and tomatoes. There is no dinner. Varsha says that the overall protein consumption of a villager is less than 50 gm. With this, and some vegetables and fruits, their calorie intake only reaches to 1,000 kcal. Women tend to eat even less. Now, have a look at what the government standards are: The daily protein requirement for an adult is 55-60 grams while the required calorie intake is to be 2,400 kcal/day for rural areas. Krishna Mowasi, 23, is a mother of three – two girls and a three-month-old boy. Mowasi tells me that her daily struggle is to afford two meals for the family. Her husband, Lalu Prasad, works as a labourer in Rajasthan when he is not farming on his two-bigha land. “We grow mustard or wheat to fulfill our basic food requirement. But the productivity is not sufficient to generate any income. Due to the drought for last two years, we are not able to save grains for ourselves,” says Prasad. In Kilhora, the average size of a family is eight. Prasad’s is no exception. Now for a family of eight, a rough estimate would put the required monthly food intake as something like this: 180 kilos of wheat costing about 4,000; potatoes, a staple food, at Rs 400-600; 15-20 kilos of rice at Rs 600; oil would be for Rs 250-300. Forget pulses, their prices are out of reach even for many living in the cities. This adds up to over Rs 5,000 a month. Prasad earns Rs 4,500 per month, or barely Rs 150 a day. The only way Prasad can meet the nutrient requirement of his family is if he spends his entire income on food. “How can we spend such an amount on food? We have to meet our daily needs as well. There are homes where husbands don’t work and the entire family is dependent on forest produce collected by the women, which they sell in the market. Their daily earning is less than Rs 80,” says Mowasi. In winters, there is slight relief for Mowasi, as the family depends on chana saag or mustard saag, or survives on chappatis and coriander chutney. The monthly grains made available through the public distribution system – five kilo rice and four kilo wheat – provide some support to fill their stomachs. Mowasi’s daughters depend on the Integrated Child Development Scheme (ICDS) run at the anganwadi. Mowasi, during her pregnancy, was a beneficiary of the scheme, which provides hot meals and take-home rations for kids as well as pregnant and lactating mothers. Although two national programmes – ICDS and mid-day meal (MDM) scheme – are meant to ensure accessibility and affordability, they fail on several counts. ICDS provides nutritional security through hot cooked meals and take-home rations as supplementary food. The scheme caters to children between six to 72 months by providing 500 kcal and 12-25 gm of protein per day. Also, it looks after pregnant and lactating women by giving them supplementary nutrition packets. The scheme has failed to make an impact due to several flaws. Major issues are shortage of staff, unpalatable quality of food and poor infrastructure facilities. Rather than focusing on including diverse local nutritional diet, the ICDS places its priority on supplementary food, creating market space for food manufacturers and contractors. Likewise, MDM is another major intervention to address malnourishment in the country. It feeds almost 120 million children every day. The scheme has shown some positive results in certain states. Protein and iron deficiency have shown minimal improvements when nutritional food intake on a school day is compared with that on a non-school day. Largely, concerns are raised over sub-standard food quality, hygiene, caste issues and poor accountability. The budget 2017 has made minuscule increments in allocations: the MDM budget goes up from Rs 9,700 crore to Rs 10,000 crore, while for ICDS the number is up from Rs 14,850 crore (RE) to Rs 16,745 crore (BE). The Right to Food Campaign considers this as “certainly not an increase in any meaningful sense”. No wonder intended benefits remain unachieved. 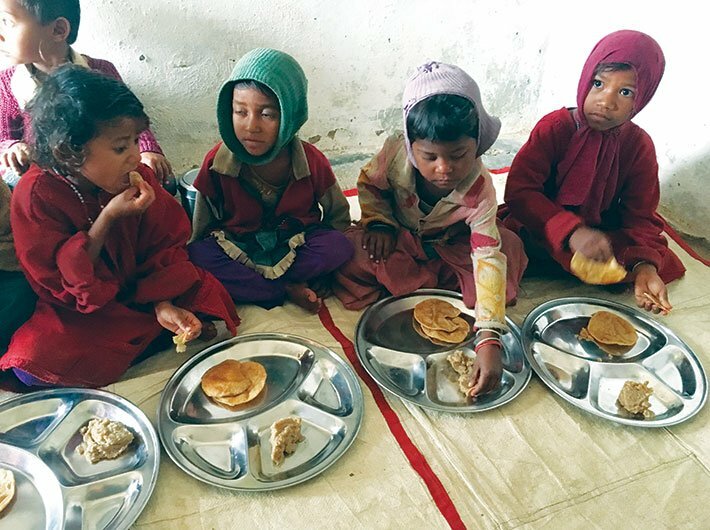 “Leave aside a complete balanced diet, the minimum nutrients that these kids should have in their growing years are missing from their diet,” laments Mira Singh, while serving suji halwa and two pooris to children on the ‘Nutrition Day’, observed once a month. Food, says Mira, should bring more kids to the anganwadi. But that is not happening. “It’s because food is of poor quality that children registered at the centre are never present in full strength.” Surprisingly, out of 98 children registered at the Kilhora anganwadi, only 12 were present when I visited the centre. Ten children, marked in the books as malnourished, were nowhere to be seen. 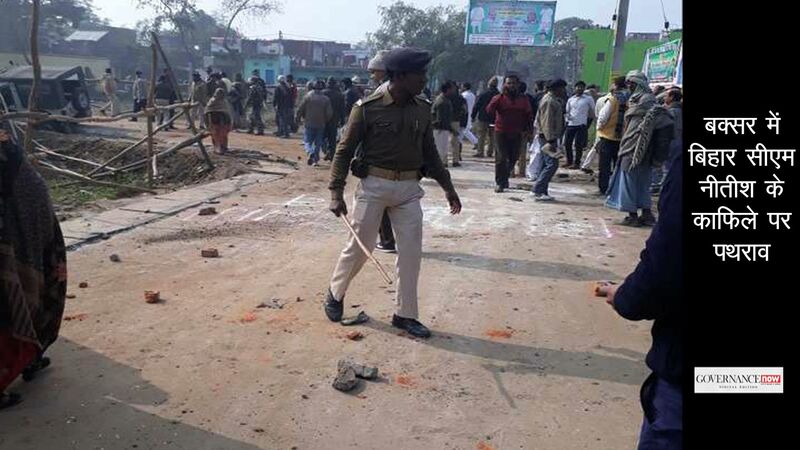 About 10 kilometres ahead is Jhiriyaghat village, where the situation is far worse. The Jhiriyaghat anganwadi runs under a thatched roof with no space to breathe. A nutritional chart, stuck on a wall, reads: sprouted grains chaat to be served on Monday and Thursday, jaggery and grams on Tuesday and Friday, peanuts and laai (puffed rice) on Wednesday and Saturday. But none of the items was available. 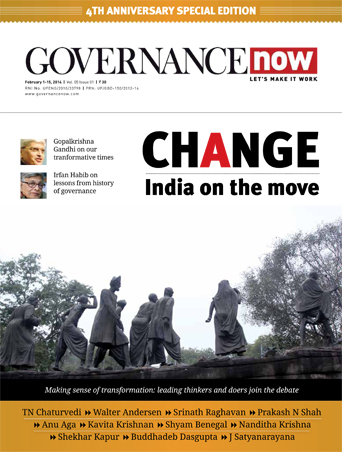 “The scheme was started by the state government in 2010. It was operational only for a month,” says Uma Mishra, an anganwadi worker. “But under ICDS we serve the food prepared by the self-help group,” adds Mishra. No one bothers to tell the kids to wash their hands before serving rice, kept in a dirty plastic bucket, and a so-called potato curry. Each kid gets two small servings of rice and one of the potato curry with miniscule portion of cauliflower. Surprisingly, the same food – in the same quantity – was being given to two-three lactating mothers who are also beneficiaries of ICDS. As per the supplement nutrition programme under ICDS, children from six months to three years should consume 500 kilocalories and 12-15 grams of proteins. Meanwhile, pregnant and lactating mothers should get 600 calories and 18-20 gm of protein. But what was being served comprised only 300-400 kilocalories and no protein intake. “Though we have given the nutritious food menu to the self-help groups who prepare the meal, we haven’t received any response from them,” says Mishra. When I visited the kitchen of the primary school in Jhiriyaghat where the meals were prepared, I found no ration in the kitchen. Instead, it was dumped in a classroom. Food was prepared on a chulha using wood as fuel. Except salt and turmeric, there wasn’t any other spice. Moreover, the same food was served as mid-day meal. There was no variation in the quality and quantity of food provided through the two schemes. Families like Mowasi’s say they are content with what’s given. “At least what we get in the anganwadi is better than the roti and salt we eat at home. We get curry, poori, halwa, kadhi and food packets, though sometimes we get nothing at all,” says Mowasi. As it is, the way nutrition booster schemes are implemented on the ground leaves much to be desired. On top of that, the government, through a notification of the HRD ministry on February 28, has made Aadhaar compulsory for MDM. The Right to Food Campaign has termed the move “illegal”, saying “no conditionalities can be imposed on this critical entitlement of Indian children”. While the government is looking to save money by not spending on missing children and plugging loopholes, the move can throw the proverbial baby with the bathwater. The Campaign maintains, “Making Aadhaar compulsory for the midday meal ... is bound to disrupt instead of helping this important programme. Further, this move is a violation of supreme court orders.” The government has meanwhile clarified that no student will be denied lunch for want of the Aadhaar, even as it has started checking numbers to see how many students still do not have the UID number. What these schemes require instead is improvement in service delivery, she adds, and Aadhaar can do precious little there. Once the Aadhaar authentication problems are taken into account, campaigners fear a large number of children are going to be excluded from MDM altogether. As for ICDS, a report in Business Standard said the government was considering to replace its benefits with cash. 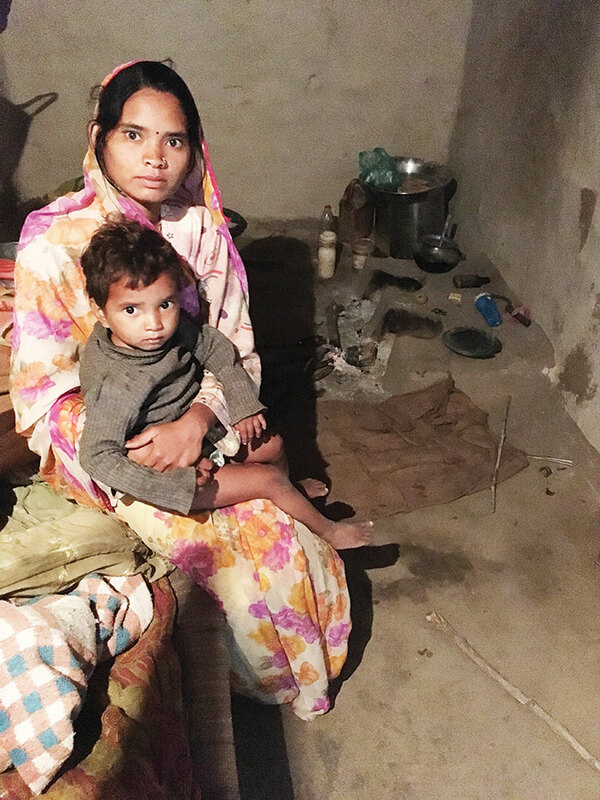 The women and child welfare ministry has clarified it has no such plans, even as it said it was “exploring the possibility of conditional cash transfer in lieu of take-home ration in select districts as a pilot”.